Buckle Up. Feel the Rush. Push the Limits. Command Respect. The all-new 2018 Camry. Believe it. Built with new lines. New materials. New curves. A lower stance. 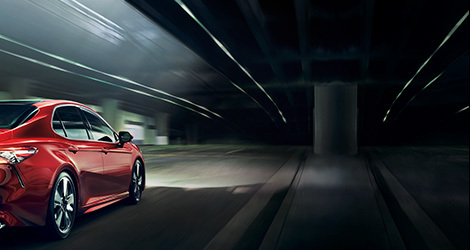 A wider wheelbase and better driving dynamics. Pay respect to the greatest Camry ever built. Beautiful. Seductive. Prepare for stares. 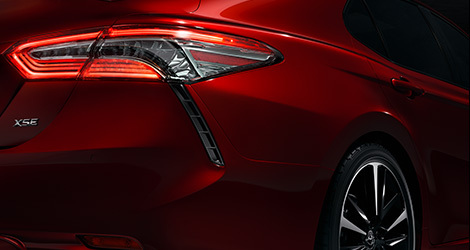 The all-new 2018 Camry, with its available sport side rocker panels, integrated rear spoiler, and red leather interior will surely attract double takes. Breathe in adventure with every turn. The 2018 Camry’s available paddle shifters, 3.5-liter V6, and 8-speed automatic transmission offer the perfect blend of power and efficiency. Feeling safe on the road comes standard. 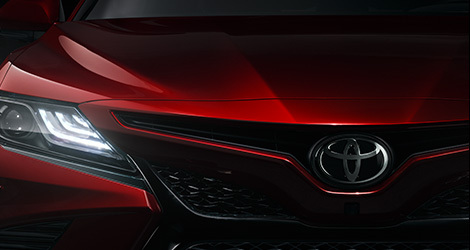 Toyota Safety SenseTM P comes standard in the all-new Camry. Combining a Pre-Collision System with Pedestrian Detection, Lane Departure Alert with Steering Assist and Dynamic Radar Cruise Control, you can drive with an extra blanket of security. Test drive the 2018 Camry at your local Southern California Toyota dealer today! With a vast array of models and virtually unlimited options to choose from, the 2018 Camry is the perfect upgrade from your current car. Click link below to set up a consultation with your local Toyota specialist.